As The Beatles, the quartet of John Lennon, Paul McCartney, George Harrison, and Ringo Starr forever changed the face of pop music. 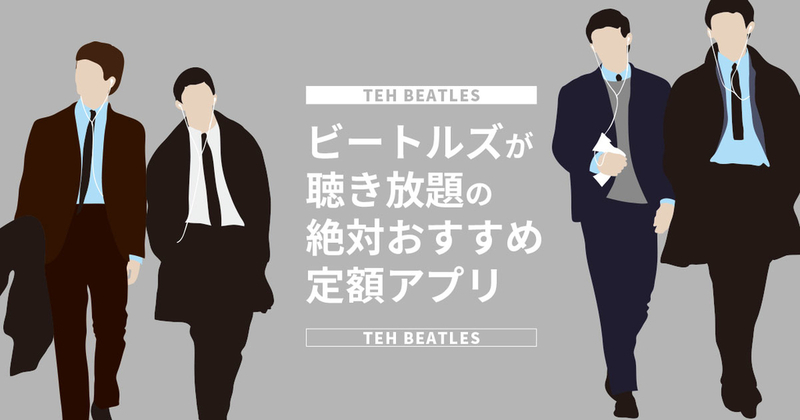 Shortly after the group's lineup solidified in 1961, a series of wildly successful singles made them superstars, and in the mid-'60s Beatlemania swept the globe. The rest of the decade was defined by fearless experimentation, musical reinvention, and visionary recordings. Years after their 1970 breakup, The Beatles continue to be a keystone influence on countless artists. This selection of unforgettable songs—now highlighting some of the most revelatory tracks from the new super deluxe White Album collection—offers an introduction to the band's towering legacy for new listeners, and an opportunity for longtime fans to fall in love with them all over again. A legacy of endless musical innovation - including Ringo Starr's surprisingly funky drum licks - has drawn artists to The Beatles since the early days of sampling. Dozens of acts, from A Tribe Called Quest to Sublime to The Roots to Animal Collective, have recycled riffs from rock's most famous band. Press play and listen for bits and pieces of the Fab Four. And while you're at it, pay special attention to "The Sounds of Science" by The Beastie Boys: the dizzying mash-up of multiple Beatles samples is wickedly clever. "リンゴ・スターのファンキーなドラムを含めて、終わることのない音楽のイノベーションは初期の頃のサンプリングからアーティスト達をビートルズに引きつけてきた。 多くのアーティスト、例えばA Tribe Called Quest から Sublime、 The Roots 、 Animal Collectiveへビートルズのリフを彼らの楽曲の中で再利用してきたのだ。さぁ、ビートルズと融合した新たな音楽を聴いてみよう。聴きながらThe Beastie Boysによる"The Sounds of Science"に注目しよう。多くのビートルズの曲がサンプリングされているから。（訳：エンジョイ ビートルズ！）"
Underneath all that pop perfection, The Beatles boast an emotional range that is nothing short of sweeping. They could be blissful, dour, even downright ferocious. The clanging "You Can't Do That” boasts one of John Lennon's angriest vocals, while on the flipside, George Harrison's acoustic demo of "While My Guitar Gently Weeps" proves more delicate than its electric counterpart. "ビートルズの曲には目をみはる感情の幅がある。時に幸せに、時に不機嫌に、時に明らかに暴力的になる。叫ぶような"You Can't Do That”にはジョン・レノンの怒りが表現されており、一方ジョージ・ハリスンの"While My Guitar Gently Weeps"にはエレクトリックなサウンドと対照的に繊細さが感じられる。（訳：エンジョイ ビートルズ！）"